I’ve got a seriously nerdy hoarder problem. You see, I’m having a hard time choosing which camera to take with me on trips, walks and the occasional adventure. The last year or so I’ve been carrying my Fujifilm X-E2 mainly because of the size. It doesn’t feel like you’re walking around with a camera in your hand, on your should or around your neck. Like it did with the camera I used before the X-E2, the Leica D-Lux 6. Another small, yet powerful camera. Last year I happened to stumble upon an online auction, because I’m a camera hoarder (sue me), and purchased Fujifilms X-Pro 1. It is a bigger and older camera than the X-E2 but it is also a gorgeous camera and it feel better in my hands compared to the X-E2. And being part of the X Series cameras, I could use my little favorite Fujinon 27mm f2.8 lens with this camera as well. I soo wish we could stop right here. But we can’t. 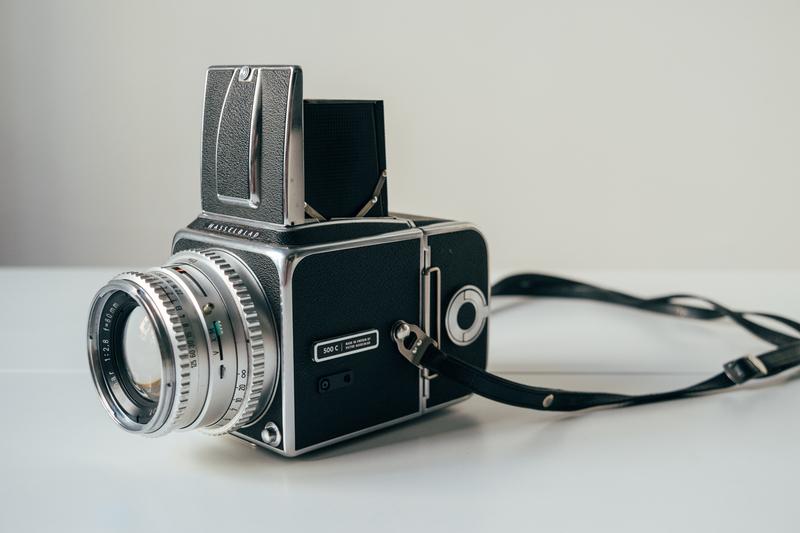 My father gave me his Hasselblad 500 c/m and to honor this magnificent camera in mint condition – I bought the Hasselblad 500 C with Planar 80mm/f2.8 for the sake of carrying around and learning more about film photography. Because, silly me, I couldn’t just carry around the Hasselblad I just got. Right? Well, let’s not start ranting about how just half of my brain is active and get back on track talking about cameras. One thing that happened shortly after shooting film for the first time in ages, was the feeling of joy. I still love shooting digital but when it comes to film, it is just a bit more fun. And I take my time. So I bought a couple of Polaroids, a couple of Voigtländers, a third Fujifilm camera and a few more film cameras. Olympus, Zeiss Ikon, Konica, Minolta and… I kept going until I didn’t have the space for them in our apartment. And, when I was about to go out exploring – I couldn’t decide which camera to bring. This hoarder had to stop and now I’m back to a normal level and collection. I’ve got two Leica, three Fujifilm, two Olympus, one Nikon, two Hasselblad, one Zeiss Ikon (Nettar), two Minolta, one Pentax, one Polaroid, one Kodak Brownie and finally a Lomo Lubitel 166. I’m still struggling to choose between cameras, but I’m getting there. I’m taking it day by day.